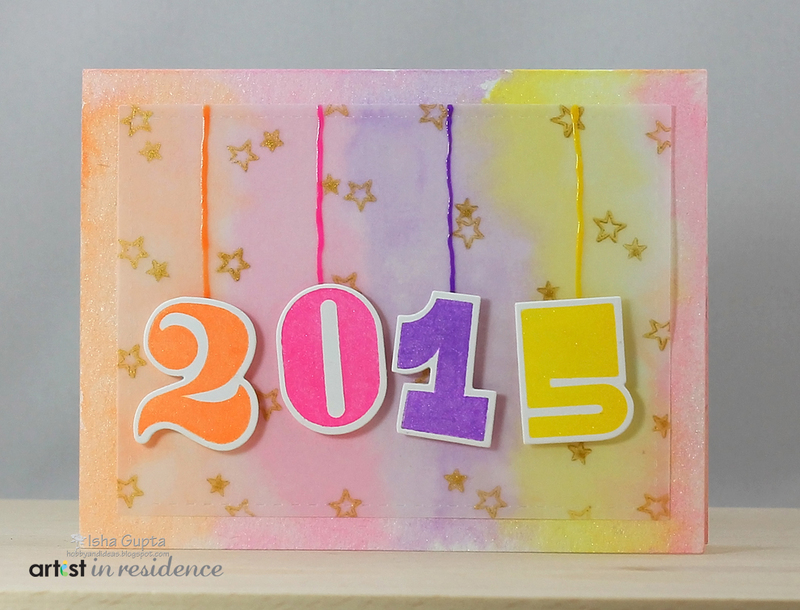 Wising you all a Happy New Year 2015 from everyone at Imagine Crafts!! 1. 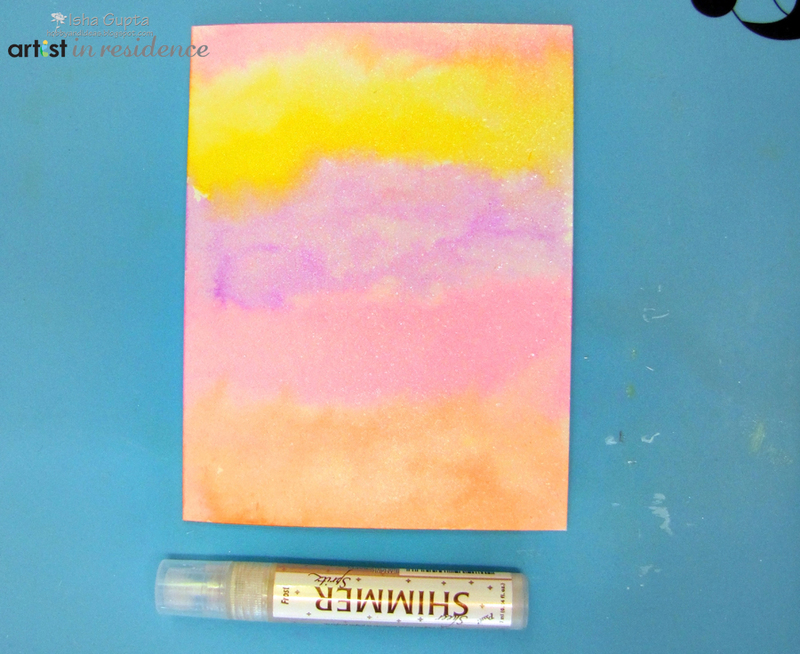 Make card base using the watercolor paper. 2. Add some ink onto the acrylic block. Spritz the card base with Ink Potion No. 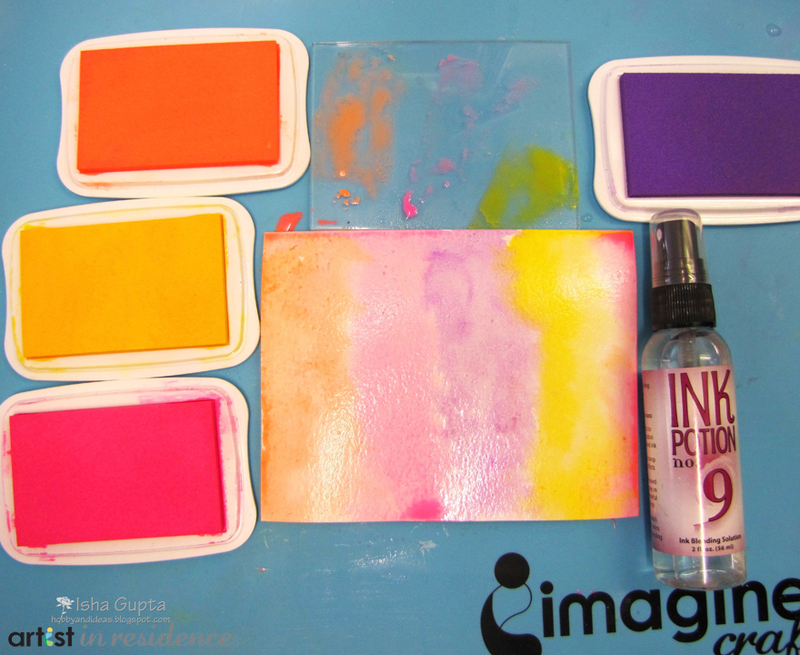 9 and dab the ink onto the wet card base using a brush. 3. Spray the background with Shimmer Spritz Frost. 4. 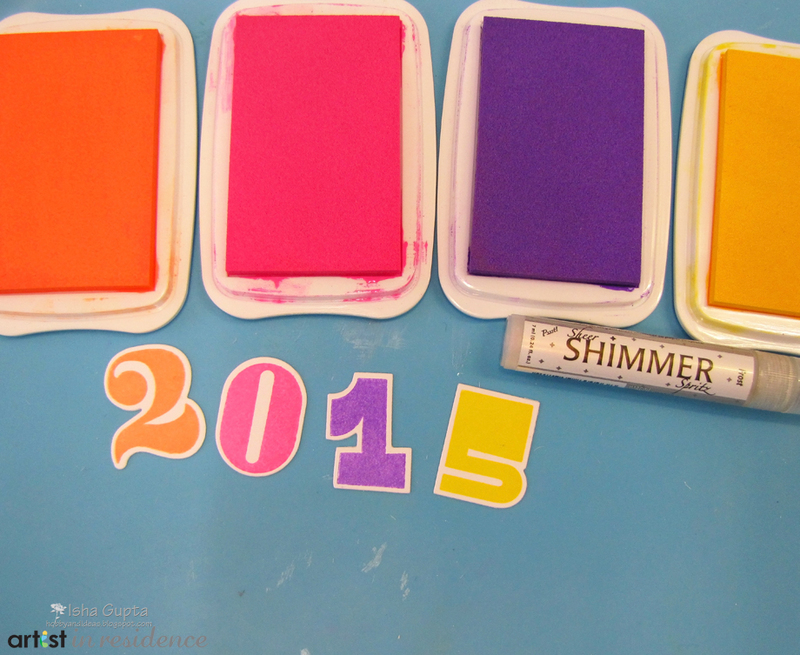 Die cut the numbers, stamp and then apply some Shimmer Spritz Sparkle. 5. 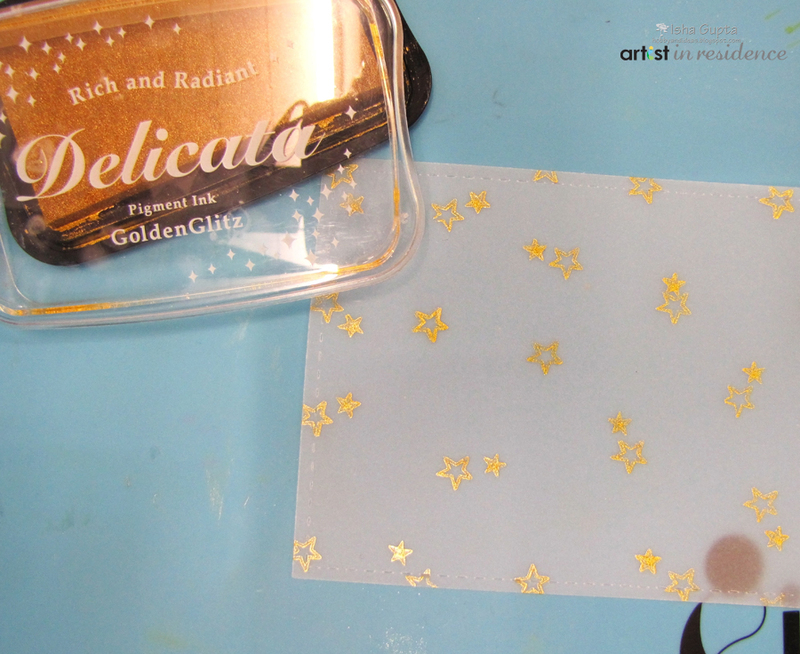 Stamp the stars using Delicata Golden onto vellum. Let dry. 6. 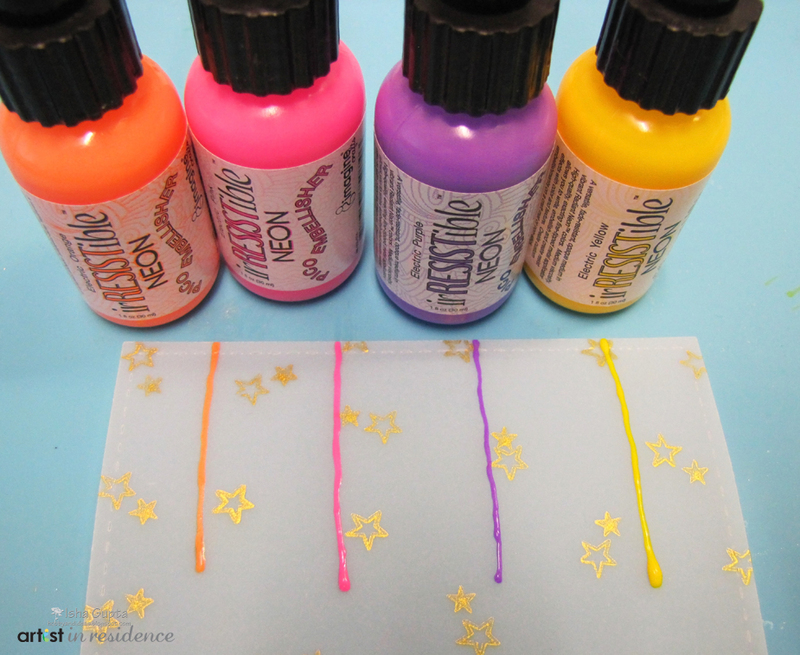 Create lines using Radiant Neon Pico Embellishers. Attach the numbers to the vellum using 3D foam. 7. Adhere vellum onto the cardbase. This entry was posted in Cards, Isha Gupta and tagged Cards. Bookmark the permalink. Absolutely beautiful and festive, Isha! Love this neon card! Happy 2015 to you and all! Fantastaliscious!! LOVE the drips and shimmer on this beauty!! TFS!